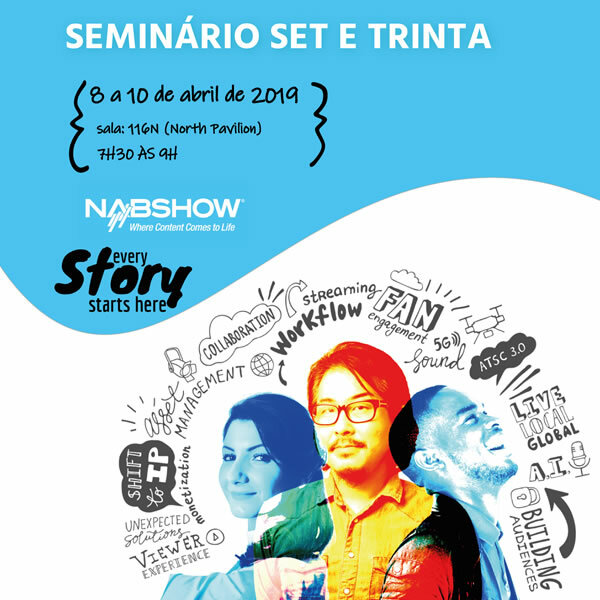 SET is announcing its participation at 2017 NAB Show, with a series of activities aimed at promoting and strengthening business opportunities for the Brazilian broadcast and new media markets. 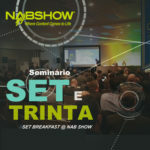 The SET BREAKFAST @ NAB SHOW is an exclusive SET seminar that takes place within the NAB Show, bringing together opinion leaders, professionals and businesses to discuss the key trends and technological innovations for broadcast and new medias. The event kicks off, as always, at 6.30 am, and ends at 9.00 am before the US trade show opens. Around 400 people participate. In 2017, the SET Breakfast @ NAB Show will celebrate 26 years. Registrations open to Brazilian and Latin American citizens (Idiom: English, simultaneous translation will not be available). April 24 – 27, 2017 – from 9:00 a.m. to 6:00 p.m. 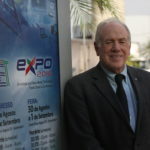 The SET EXPO booth at the NAB Show promotes the largest broadcast and new media event in Latin América among the professionals circulating in the corridors of the exhibition pavilion. SET EXPO will take place in São Paulo, Brazil, between August 21 – 24, 2017. A meeting and support point for both Brazilian visitors registered by SET and those participating in the SET BREAKFAST @ NAB SHOW Seminar, who will have support services such as computers, internet, coffee, water and meeting tables. There is no charge for using it and booking is not required. 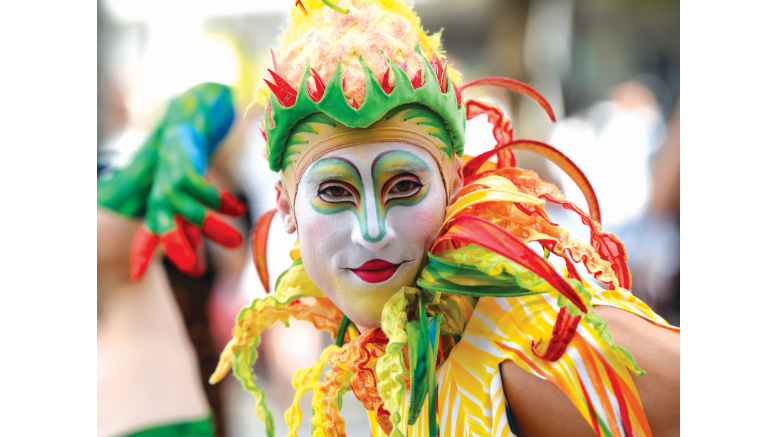 Brazilian citizens interested in visiting the trade show enjoy special service. SET will do the registration for free. When you get to the exhibition pavilion, just pick up your badge. Register on April 24, 25 and 26, from 10:00 a.m. to 5:00 p.m., in Room N116 at the Las Vegas Convention Center. 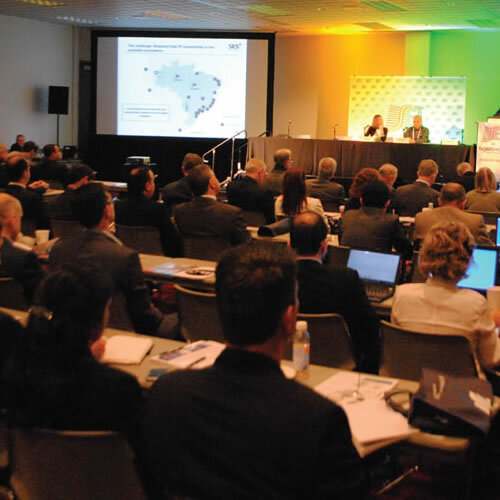 Organized by the Brazilian Union of Electrical, Electronic and Similar Device Industries of Electronics Valley (Sindvel), by Eletroeletrônicos Brasil and by APEX, this year’s Brazilian pavilion will host 15 Brazilian companies exhibiting their products at the NAB Show. This is Brazil’s 11th participation at the trade show with a dedicated pavilion. SET is jointly supporting this initiative with the SBTVD Forum. 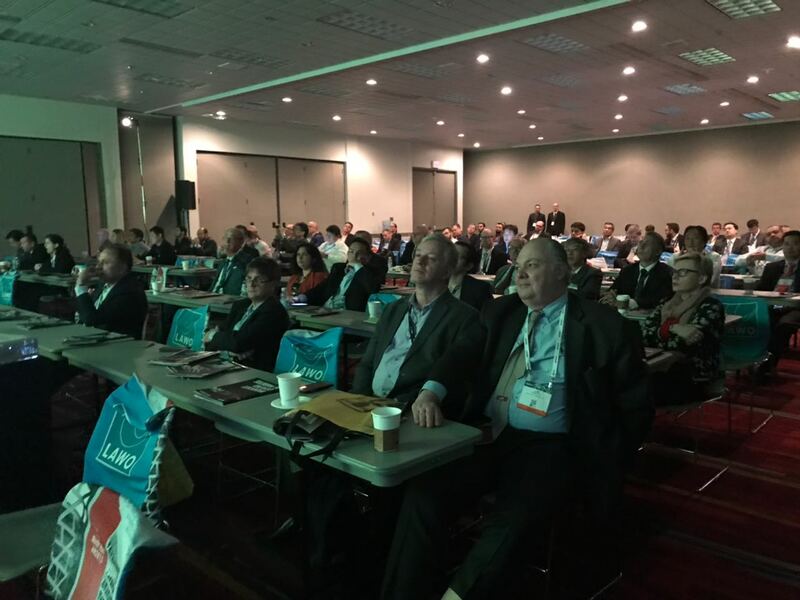 SET is offering certificates of participation at the SET BREAKFAST @ NAB SHOW Seminar and at the NAB Show Trade Show for those who register through the SET web site and sign the roll call sheet in the SET Room or on the SET booth during the event. The certificates will be available on the SET web site from May 7th, 2017 onward. To issue them, you will need your user ID and password. The NAB Show is the world’s largest trade fair for products and services in the fields of broadcast, digital media and television, and is promoted by the National Association of Broadcasters (NAB). This year, the event will take place between April 22nd and 27th, in Las Vegas (USA). Around 100,000 participants are expected from 150 countries. Your company can sponsor our event. A Cisco é o líder mundial em TI que ajuda as empresas a aproveitar as oportunidades de amanhã, provando que coisas incríveis podem acontecer quando você conecta o desconectado anteriormente. Na Cisco clientes vêm em primeiro lugar e uma parte integrante do nosso DNA está criando parcerias de clientes duradouros e trabalhar com eles para identificar suas necessidades e fornecer soluções que suportam o seu sucesso. O conceito de soluções que estão sendo conduzidas para enfrentar desafios específicos do cliente tem sido com a Cisco desde a sua criação. Em Novembro de 1994, Daniela Souza fundou a AD Digital. No decorrer dessas mais de duas décadas, a empresa se especializou na integração de sistemas e prestação de serviços, sendo, atualmente, um dos grandes nomes do mercado de mídia brasileiro. Para preservar ou otimizar futuros investimentos em um ambiente heterogêneo é preciso pensar na integração entre softwares com aplicações de fornecedores distintos. É responsabilidade do integrador extrair o melhor de cada tecnologia e garantir a intercomunicação entre elas. Como provedor de soluções, a empresa agrega valor à tecnologia ao pensar na integração desta com o ambiente atual do nosso cliente, visando preservar os investimentos já realizados ou em deixa-lo preparado para adaptar-se rapidamente no futuro da forma menos custosa possível, sem falar da promoção do alinhamento da estratégia com a área técnica. Não se trata apenas da venda de um produto e sim de uma proposta de valor que vai muito além do licenciamento e fornecimento de recursos computacionais. Na prática, a AD Digital atende o mercado com soluções taylor-made, por entender que cada negócio é único e merece abordagens diferentes, independentemente de seu nível de complexidade ou porte. Assim, extrai o melhor de cada solução, proporcionando sinergia entre várias marcas e otimização dos investimentos. Fundada em 2004 por profissionais de TV digital, ENENSYS Technologies tem anos de experiência no design e fabricação de sistemas de transmissão de TV digital. Os seus produtos para codificação/multiplexação e transmissão, facilitam a distribuição de sinais através de uma ampla variedade de redes, incluindo IP. ENENSYS é líder mundial em tecnologia DVB-T2, e abrange outros padrões como DVB-T, LTE Broadcast, T-DMB, DTMB, ATSC e ISDB-T.
Empresa líder reconhecida em OTT TV (Over the Top TV), OVP (Online Video Platform), EdVP (Plataforma Educacional de Video) e nos mercados EVP (Plataforma de vídeo corporativa), Kaltura surgiu como a plataforma de vídeo que mais cresce, e como a empresa que mais oferece funcionalidades aplicados em múltiplos casos de negócios. Kaltura está implantada globalmente em milhares de empresas, empresas de mídia, provedores de serviços e instituições de ensino que envolve centenas de milhões de telespectadores em casa, no trabalho e na escola. A empresa está comprometida com seus valores fundamentais em arquitetura abertura, com flexibilidade e colaboração junto aos nossos clientes, e apoia a comunidade do projeto de gestão de vídeo de código-fonte aberto do mundo, que está com mais de 100.000 membros da comunidade. A SDB Multimídia atua nos mercados de entretenimento, emissoras de televisão, provedores de conteúdo, operadoras de TV por assinatura, corporativo, educacional e produção de vídeo para múltiplas plataformas. Como Platinum Reseller e Centro de Seviços Certificado da Harmonic Inc. no Brasil, comercializa, integra e presta suporte e assistência técnica para toda linha de produtos. Servidores de vídeo, transcoders, encoders, multiplexadores, moduladores, sistemas de Uplink, receptores, modulares para infra estrutura de vídeo, antenas e serviços de projeto, instalação, comissionamento e treinamento. LILIANA NAKONECHNYJ. President of SET. She graduated in telecommunications engineering at PUC-Rio. A large part of her professional life has been dedicated to deploying television distribution systems, initially analog, and later digital – terrestrial broadcasting stations as well as radio, satellite and fiber optics based contribution and distribution systems. Also, for many years, she was in charge of engineering support for broadcasters affiliated to TV Globo. 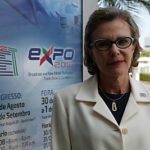 She has always been interested in promoting new technologies, leading studies and tests for the introduction of digital television in in Brazil between 1994 and 2006, and demonstrations and tests of UHDTV in more recent years. She is a member of the National Council for Social Communication, an auxiliary body to the Brazilian Senate. (PT) Carlos Fini é engenheiro eletrônico, diretor de Tecnologia da SET e membro da entidade desde 1988. Atualmente, exerce o cargo de diretor de Tecnologia de TV e Rádio do Grupo RBS (RS/SC), onde faz a gestão das 18 geradoras de TV e de rádio. Trabalhou na TV Globo entre 1979 e 2012, onde realizou a implantação das emissoras de São Jose dos Campos (TV Vanguarda/1988), da TV Globo em São Paulo (1999) e do sistema de transmissão digital na capital paulista (2007). Coordenador da Norma de Multiplexação e da Norma de Middleware do Fórum Brasileiro de TV Digital (Módulo Técnico), entre 2006 e 2012. The new media brought challenges and tremendous adaptations to broadcasters. In this lecture, you will learn more about new video coding techniques, along with new sources of IP capture and production, as well as market innovations such as OMD (Open Media Distribution), MABR (Multicast ABR) and IP Fabric for Media. 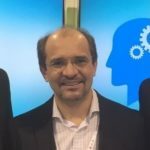 André Altieri is the senior account manager for Cisco Brazil. An electronic engineer gratuated by Inatel, he has a business degree from the University of Pennsylvania and a marketing degree from the Escola Superior de Propaganda e Marketing (ESPM). He owns AltieriNet Comércio e Serviços de Informática. Digital migration is progressing rapidly worldwide and an increasing number of TV homes are switching from analog to digital reception modes. In Brazil, digitalization is creating new opportunities for the broadcast industry as well as the economy, bringing digital TV and broadcast innovations such as HD or even Ultra HD and interactive/hybrid TV services seamlessly to everyone throughout the country. In this presentation, it will be presented the process developed in France and some of the similarities with the Brazilian process. 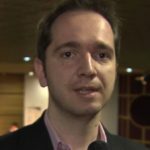 Rodrigo Campos is the General Director at Eutelsat do Brasil. 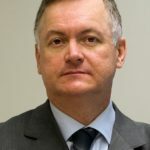 He is the head of the Brazilian operation, being responsible for developing Eutelsat’s commercial efforts aligned with the overall strategy of the group in Brazil. With over 20 years in various leading positions in the satellite industry, Rodrigo is a leading expert in the satellite communication. Media delivery and consumption has changed drastically in recent years, with viewers now demanding seamless, anytime, any device TV, programmers are scrambling to adjust their delivery approach to meet expectations. In order to meet the demands of the new media consumer, programmers need to reevaluate their traditional contribution and distribution models and deploy more efficient, cost-effective, and reliable ways to deliver content. Discover how Intelsat has modernized business models with the highest penetrated video neighborhoods in Latin America, next-generation high throughput EpicNG satellite technology, and managed services to allow you to cost-effectively expand one channel at a time, maximize traffic on bandwidth, and optimize your network to deliver any device experiences your audiences demand. 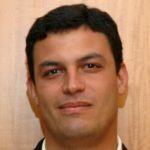 Marcelo Amoedo is the sales director of the Broadcasting Division (Southern Region, Brazil) of Intelsat. He holds a degree in business administration from UNESA with an MBA in Digital Television from Universidade Federal Fluminense (UFF). In this lecture will be addressed the following topics: LSSIEL (single sensor of large size with internal expansion lens), technology to make accessible 4K camera; and the conceptual model of the IP-based production system with open hybrid SDR/HDR technologies. Neil ( Noriaki ) Ugo is product manager at the Imaging Network Division, Panasonic Corp., Osaka, Japan. He is currently is in Japan as product engineer for 4K professional video camera including VariCam 35. The next stage of the media and entertainment industry is clearly how to achieve the digital transformation that takes over the world today. Shortening distances so that content created and distributed is close and in a place where customers and users can access easily becomes critical to the success of the media and entertainment industry. Learn during the lecture how to be present in a place where the high-performance, direct connections of the entire media chain enable the delivery of products at top speed and superior quality to a global and exponential marketplace. Diego Julidori is an eletronic engineer, graduated by Inatel. He holds an MBA from the Getúlio Vargas Foundation, as well as specializations at famous business schools such as Dom Cabral Foundation, University of California and University of Michigan. Before starting his career at Equinix in 2010, he worked at Linear and LG Electronics. Emerson Weirich – Executive Manager for Radio and Television Engineering – EBC/ SET With a degree in Electrical Engineering and a Master’s in Science and Technology Management, he took a specialization course in digital video in Japan, and has professional experience in the field in Germany. He has also worked at several communication companies: RBS TV, TVE RS, Radiobrás, TV Justiça (Court TV) and EBC. 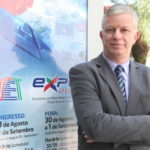 He is currently Executive Manager for Radio and Television Engineering at EBC – the Brazil Communication Company (TV Brazil, TV NBR, the Integración Channel, TV Escola (School TV), Rádio Nacional and Rádio MEC). He is currently SET regional director for the Mid-West. Operators of video contribution and distribution networks increasingly find themselves in a situation of operating a small scale network of remote vehicle, contribution sites and distributions points. These sites have varying demands for bandwidth and connectivity requirements for remote management and planning. Typically these networks evolve from broadcast networks with a small scale data overlay for monitor and control – increasingly it makes sense for these networks to be operated by a service operator who typically offers internet connectivity, but using recent advances in VSAT network design can be readily combined to offer broadcast capability up to 4k UHD resolutions. This presentation will describe a satellite networking solutions that efficiently combines both broadcast and data operations to optimize satellite resources while increasing the robustness of the network and creating opportunities for additional revenues and cost savings. The talk aims to clarify doubts about the new Bare Metal, Enconding Base Software and Virtualization technologies and show how they can help the broadcaster reduce HD signal distribution costs and support the improvement of its ISDB-Tb signal coverage. Harmonic pioneered the development of broadcast-quality software-based encoders with the high-efficiency PURE algorithm capable of delivering multiple channels in a single chassis, serving the terrestrial, satellite and OTT markets simultaneously. 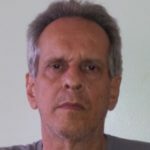 Sidnei Brito is an electronic engineer graduated by the Pontifical Catholic University, with more than 20 years of experience in the television area. He is the Commerical Director at SDB Multimídia (Platinum Partner and Authorized Repair Center of Harmonic in Brazil). Moderator: Fernando Bittencourt, International Director of SET. FERNANDO BITTENCOURT International Director – SET/ Consultant at FB Consultants Former General Manager for Engineering at TV Globo. Graduated in Electronic Engineering from the Federal University of Rio de Janeiro (UFRJ) Beginning in 1994, he was Coordinator of the SET/ABERT group created by the ABERT and SET to study and plan the implementation of Digital TV in Brazil. He was a full member of the Council for Social Communication in the Brazilian Senate, as an engineer with renowned knowledge in the field of social communication. Participates in the Deliberative Council of the Forum on the Brazilian Digital TV System. He is also a member of the IEEE, IBC and the SMPTE. What will media enterprise infrastructure look like in 2036? Current trends of IT/IP/cloud provide some guidance for the structure of future systems. This paper takes a deep look at the evolution of system’s components and architecture and examines some possible scenarios for infrastructure choices. Considered will be; extrapolated trends for transport, networking, storage, compute and cloud futures. Discussion of exponential technology growth and its impact on media creation, production and distribution. (PT) Al Kovalick é fundador da Media Systems Consulting. Trabalhou durante 20 anos em campo com sistemas híbridos audiovisuais e de TI, e atualmente se concentra em sistemas de mídia, fluxos de trabalho baseados em arquivos e migração de nuvem para instalações de mídia. Seu livro, “Sistemas de vídeo em um ambiente de TI”, foi o primeiro a cobrir os aspectos importantes da convergência de sistemas audiovisuais e de TI. Em 2009, foi premiado com a medalha David Sarnoff da SMPTE para realização de engenharia. 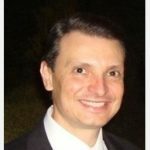 É membro do IEEE, e ex-diretor de educação e membro da SMPTE. Bill Hayes is president of IEEE-BTS and director of Engineering and Technology at Iowa Public Television (IPTV). Mr. Hayes received his Bachelor’s Degree in Communications in 1977. He has worked in broadcasting since 1973 in both radio and television with extensive experience planning, designing and constructing television stations. 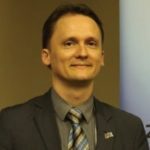 He is currently the Director of Engineering and Technology for Iowa Public Television and is responsible for the planning and development of all technology projects at IPTV including the studio origination facility and 17 RF transmission facilities throughout Iowa. 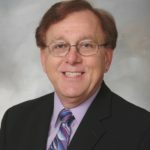 Bill is active in future broadcast planning nationally and internationally and serves on a number of committees developing standards for emerging media technologies and the next generation of terrestrial digital television. He is a Fellow of the Society of Motion Picture and Television Engineers and the former Central Regional Governor. 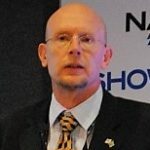 Bill is also a senior member of the Institute of Electrical and Electronics Engineers and currently serves as the president of the Broadcast Technology Society. He is also a member of the Society of Broadcast Engineers and was honored as their Educator of the Year in 2007 for his work educating the industry and the public regarding digital television. He is also a member of the Society of Cable Telecommunications Engineers. 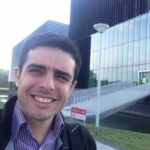 Jose Antonio Garcia is the Coordinator of SET´s IP Study Group , member of member of SET´s Technology Committee of SET and Manager of Engineering at Empresa Brasil de Comunicação (EBC). José Frederico Rehme is SET Teaching Director, Coordinator and Professor of the Electrical Engineering and the Energy Engineering courses at Positivo University and Engineering Director at TVCi. SES will show some market forecast for 4 K UHD in north and LA and how SES can help to accelerate the adoption of 4 K technology providing an end to end solution for cable contribution and distribution as well via Direct to Home technology. The keynote addresses the latest trends in standardization and the possibilities of using HDR technology for both HD and 4K production and an insight into the possibilities of use for HDR in live production and post production. 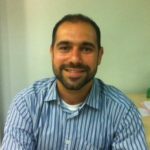 Erick Soares is a Sales Support Engineer at SONY Brazil. He is a specialist in new technologies, workflow and products for the broadcast market. Graduated from the Faculdade de Engenharia Industrial (FEI) and post-graduation from the Fundação Instituto de Administração (FIA-USP). Olímpio José Franco is superintendent and member of the SET Board of Former Presidents. He is an electronic engineer with an extensive career in the field of television broadcasting. 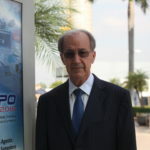 In 1969, he joined the Padre Anchieta Foundation (Radio and TV Cultura, São Paulo), as a trainee, from where he left only in 1988, when he held the position of technical director. From 1988 to 2003, he was technical director of TV Jovem Pan. He has owned Olympic Engineering in Audio and Video Systems since 1985, working on audio and video projects and installations. 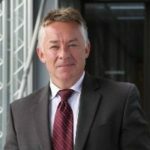 He is the founder of SET, having served as president for three terms, as well as being technology director and vice president at various times. He is a life member of SMPTE and member of the Technical Module of the SBTVD Forum. Last August, the trial broadcasting of Super Hi-Vision by satellite in Japan had been launched with our predetermined schedule. Moreover, studies to realize next-generation terrestrial broadcasting are planned. NHK STRL has been conducting R&D on large-capacity transmission technologies to realize terrestrial Super Hi-Vision broadcasting and has successfully carried out Super Hi-Vision video transmission experiments with the prototype system. This presentation mainly introduces an overview of R&D for next generation terrestrial broadcasting in Japan. 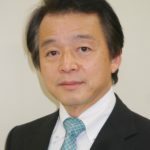 Kenichi Murayama joined NHK (Japan Broadcasting Corporation) in 2002. From 2002 to 2008, he has worked at the NHK Engineering Administration Department / Transmission & Audience Reception Engineering Center. 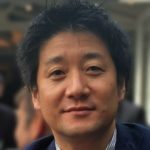 From 2008 to 2013, he has worked at the Advanced Transmission Systems Research Division in NHK Science and Technology Research Laboratories (STRL) and has been engaged in research and development related to next generation of digital terrestrial broadcasting. The U.S. continues to move toward implementation of the ATSC 3.0 standard for its Next Gen TV services, while the Republic of Korea will officially launch its Next Gen services using ATSC 3.0 within the next several weeks. This talk will provide an update on the status of the ATSC 3.0 standards suite, and present an overview of U.S. and Korean plans for Next Gen TV. The work of the Ultra HD Forum regarding deployment of UHDTV worldwide will also be summarized. 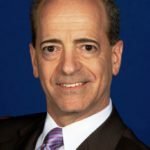 Skip Pizzi is Vice President, Technology Education and Outreach, at the National Association of Broadcasters (NAB) in Washington, DC, USA. 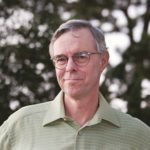 His career has spanned the broadcast and digital media industries, working in audio engineering at NPR, and in audio production, media standards and technical policy at Microsoft. He was also an editor at Broadcast Engineering magazine, and a columnist for several other international industry publications. He remains a technology journalist, editor, author and trainer today. His most recent book is A Broadcast Engineering Tutorial for Non-Engineers, 4th edition, published by Focal Press. He is currently Associate Editor on the NAB Engineering Handbook, 11th edition, which will be published later this year. Skip serves as Vice-Chair of the Advanced Television Standards Committee (ATSC) Technology Group 3 (TG3), which is developing the ATSC 3.0 standard. He is also a member of the Board of Directors of the Ultra HD Forum. Skip is a graduate of Georgetown University, where he studied Electrical Engineering, International Economics and Fine Arts. The speech will deal with the key requirements on UHDTV, the success in standards for HDR and will then highlight the needs for a flexible, shareable and scalable infrastructure which can only be realised with Internet Technologies. The talk will end with an outlook on future work in the different standards bodies. Dr. Hans Hoffmann is Head of the Unit on Media Fundamentals and Production Technology in the EBU Technology and Development Department. 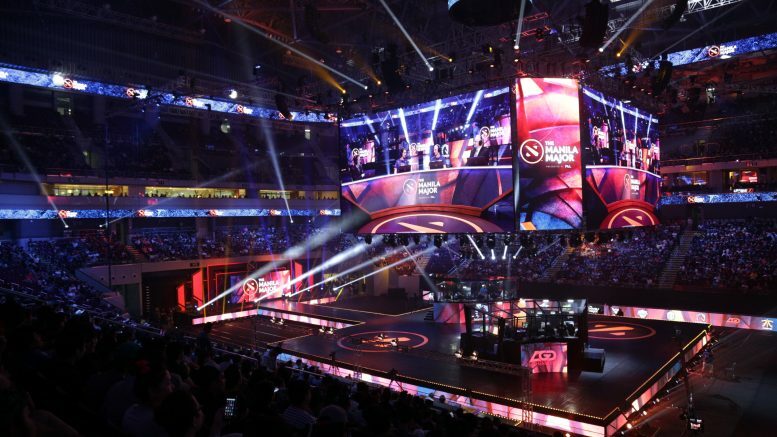 His team is investigating questions in regard to future TV and audio formats, media information management and broadcaster’s questions in bi-tri-media production environment, networks and media storage as well as quality control. Third day closing ceremony and gift raffles. 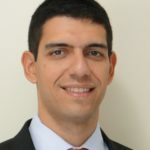 Rafael Leal is coordinator of the Switch-off Working Group, SET, and a strategy and regulatory affairs specialist in the Technology Department at TV Globo and a member of the Reorganization Technical Group (GT-Rm) of the GIRED.